God celebrated Garrett Nathaniel Klahr’s arrival in Heaven on Dec. 6, 2018, due to injuries suffered in a car accident. Garrett was born July 9, 2002, in Topeka, the son of Darrek and Inga (Beitz) Klahr. He was a member of Immanuel Lutheran Church in Netawaka. Garrett was 16 and a sophomore at Jackson Heights High School. He was at the top of his class scholastically, a talented saxophone player and a dedicated cross-country and track athlete for the Cobras. He had attained the Life Rank in Boy Scouts and was working on his Eagle Rank. Garrett loved the challenge of computer games. He had a contagious smile, a fun-loving, quirky sense of humor and a kind spirit. He was also an organ donor. Garrett was the son of Inga and the late Darrek Klahr; the brother of Trevor; the grandson of maternal grandparents, Jim and Barbara Beitz of Eureka, paternal grandparents, Barbara and Owen Jacobson of Hiawatha and the late Duane Klahr; nephew of Doug and Trish Klahr of Wetmore, Tracy Beitz and Melissa Barkus of Reece, Jason and Tara Beitz of Eureka; and cousin of Christian Orness and Kendall and Kolby Beitz. Half of the funds originally designated to Trevor and Garrett’s education fund collected from Garrett’s dad’s service will be used to establish a memorial scholarship at Jackson Heights High School in Garrett’s memory. Garrett’s wonderful spirit and life will be celebrated with a funeral service at 10 a.m. Wednesday, Dec. 12 at Jackson Heights High School. Burial will follow in the Netawaka Cemetery. 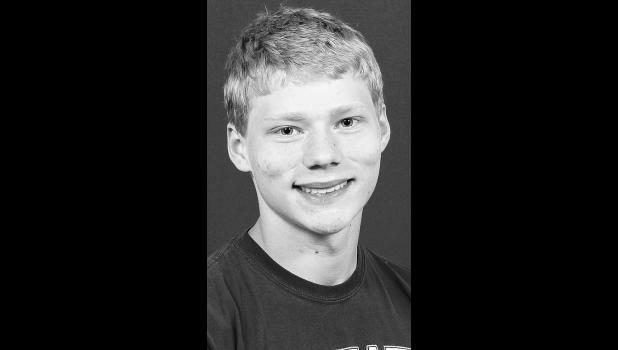 Family will greet friends from 4 p.m. to 7 p.m. Tuesday at Mercer Funeral Home in Holton. The family requests casual dress.